Grief and loss has its own language, one that cannot be forced, one that is found waiting when the mourner ready. That is the experience recounted in the 32nd addition to The Cahier Series, a collection of short meditations published by the Center for Writers & Translators at the American University of Paris in association with Sylph Editions. Each volume pairs an author and an illustrator or artist, and examines some aspect of the intersection of writing and translation, allowing a broad scope within which such ideas can be understood and explored. As such, each cahier opens a door to a different way of engaging the world. 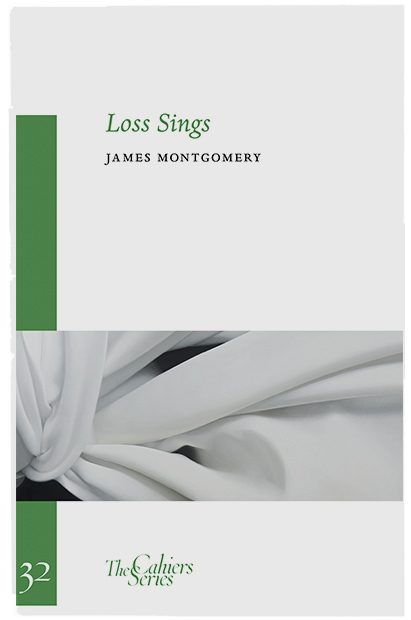 James E. Montgomery’s Loss Sings is a deeply personal essay that owes its genesis to tragedy. On 24 August 2014, the distinguished Professor of Arabic’s seventeen-year-old son was struck by a car when walking with some friends in the city of Cambridge. He suffered what were described as “life-altering injuries.” The driver was uninsured. Suddenly his family’s world was forever altered as an entirely new set of realities, concerns, and anxieties came into play. The young man with a promising future now faced a life of serious physical disability, marked by increasing pain, decreased mobility, and the need for ongoing care. As surgery, rehabilitation, and the detailed record keeping required for legal purposes began to shape Montgomery’s life, he discovered an unexpected appreciation for a cycle of Arabic laments that had long left him unmoved and indifferent. 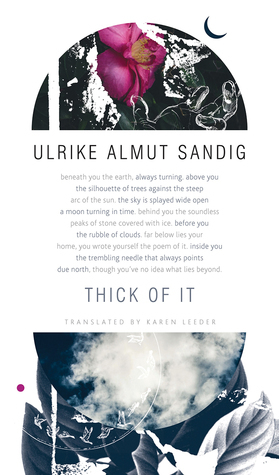 In the early months after his son’s accident, a personal translation project involving these poems emerged. Three years later he recorded his reflections on his son’s injury and his thoughts on memory and the articulation of loss in a series of dated diary entries. Presented together with a selection of his newly translated verses, the present cahier was born. The poems at the centre of this fascinating account, are the threnodies of the seventh-century Arabic poet Tumāḍir bint ‘Amr, known to posterity as al-Khansā, a woman who composed and sang hymns to the loss of her two brothers in battle—more than a hundred wailing odes that were memorized and passed on for two centuries before they were committed to writing. Although Montgomery had taught these well-known elegies for three decades, through significant losses and traumas of his own including a close proximity to the surreal horror of the attack on the World Trade Towers, he had found them repetitive and cliched. It took his son’s injury to unlock their power. As a parent with a seriously injured child, the rules of order were suddenly rewritten. He realized that his son’s need for assistance would increase as his own physical abilities declined, and when an unexpected potential health problem of his own arose, his concerns for the future intensified. Memory is a strange place. It is unreliable, pliant, liable – mercifully so. It makes so many mistakes, gets so much wrong. An event like the one I am describing rips to shreds the veil of the commonplace and the mundane, and memory is charged with the task of remembering the future, of recalling the unusual; for such events reveal to us that the future is little more than a memory. What unfolds over the course of less than forty pages is a multi-stranded meditation on grief, loss, and the relationship between trauma and memory. As Montgomery notes, the confusion that commonly strikes in the aftermath of trauma is a response to the confrontation of previously trusted memory with a “new reality, an unalterable experience.” He recognizes a close analogy in literary translation. In order for a translator to recreate a literary work in another language, decisions must be made about what can be left out as much as what one wishes to retain. With poetry in particular, he says, it may be the only means of transmitting what is irreducibly poetic, and as such, literary translation is “more akin to trauma than it is to memory.” As trauma leaves one at odds to make sense of the world, often bound to a silence that swallows up attempts to give voice to grief, the mourner is forced to navigate a “no-man’s land” between one remembered reality and a new one. Literary translation echoes this process, and through the act of translating al-Khansā’s poetry in particular, Montgomery is able to articulate his own experience of grief and loss through an understanding and appreciation of the very elements that once irked him in these classical Arabic laments. Experience, memory, artifice and art are confronted by the absence of comfort, and earlier versions of a poet’s selves are rehearsed and re-inscribed in memory – but the brute truth of the mundanity of death is the age-old cliché about clichés, namely that, like death, they are too true. Night is long, denies sleep.
. Ibn ‘Amr is dead. I will cry my shock.
. for my dear brother! Montgomery’s reflections on his own experiences with loss and the parallels he sees in translation speak clearly to lived grief and trauma. The yearning, aching threnodies of al-Khansā woven throughout, call from the distant past with a pain and longing that is recognizable, real, especially for anyone who is, as I am, still caught in the lingering aftermath of a series of significant losses. But throughout my engagement with this book there was one thought that I could not shake, a possible understanding that the author himself is perhaps not fully aware of. He admits that he is not entirely certain why these ancient Arabic laments finally reached into him when they did. I worked for years with the survivors of acquired brain injury and their families. I recall one family in particular whose son was injured in a single vehicle rollover in his late teens. His parents admitted at the intake, to a double sense of grief—for their son’s ever-altered future, and for their loss of an image of their own anticipated freedom on the cusp of their youngest child’s pending adult independence. Two futures and their attendant memories altered in an instant. Yet this kind of grief—the grief of survival—is not easily mediated. When the parents attempted to attend a grief support group in their community they were pushed away. “What do you have to grieve?” they were asked, “You still have your son.” There is no accepted ritual or memorial for this kind of loss. With each step through rehabilitation, fighting for funding, worrying about an undefined but infinitely more precarious future, a song of loss sung anew every day. It does not surprise me in the least that a sequence of laments that hold so fast to grief, repeating, reinforcing and seeking voice in the comfort of cliché would break through at this time in Montgomery’s life. How fortunate that he was able to hear them and feel inclined to guide these verses across the distances of language and time to share with us. 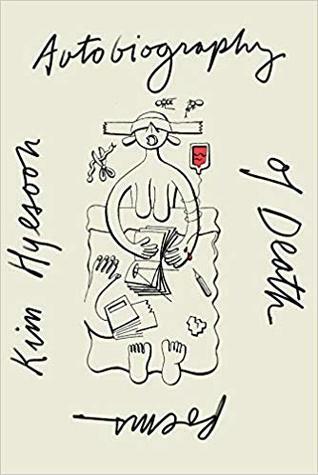 Paired with abstract illustrations in black and shades of grey by artist Alison Watt, this small volume speaks to the universality of loss and the longing to find expression through the stories, myths and poems we turn to in times of trauma. It seems as if each year, as I come to my customary winter solstice year-in-review post, I am looking back at another bleak year—not entirely bleak of course, but on the northern hemisphere’s shortest day, it’s easy to allow the dark days to slide into one’s imagination. Last year, I ended my post on a high note, enthusiastic about my son’s sobriety. It did not last, but a solid alcohol-free stretch is a start. I was at once cautiously optimistic and typically cynical, knowing how my life has been playing out in the recent past. And so, yet another year of ups and downs nears an end. 2018 began with the excitement of getting ready to head to India, to spend two weeks in Kolkata. I was, I told myself, going to get some serious writing done. I gathered all of my fragments and half-finished pieces of work, backed up in the cloud, and packed a stupid number of books and too many warmer clothes “just in case”. I wrote little, read nothing, bought even more books to drag back home, and had the time of my life. If the city’s particular character overwhelmed me for the first few days, it won my heart before long. I was able to spend time at the office of Seagull Books, taught a class at their school of publishing and met Ngūgī wa Thiong’o. I had a chance to meet and spend time with friends, contacts from blogging and Twitter, reinforcing my experiences in Australia the year before—this online space can translate into real life contact, contact that sometimes builds into deeper lasting friendships. 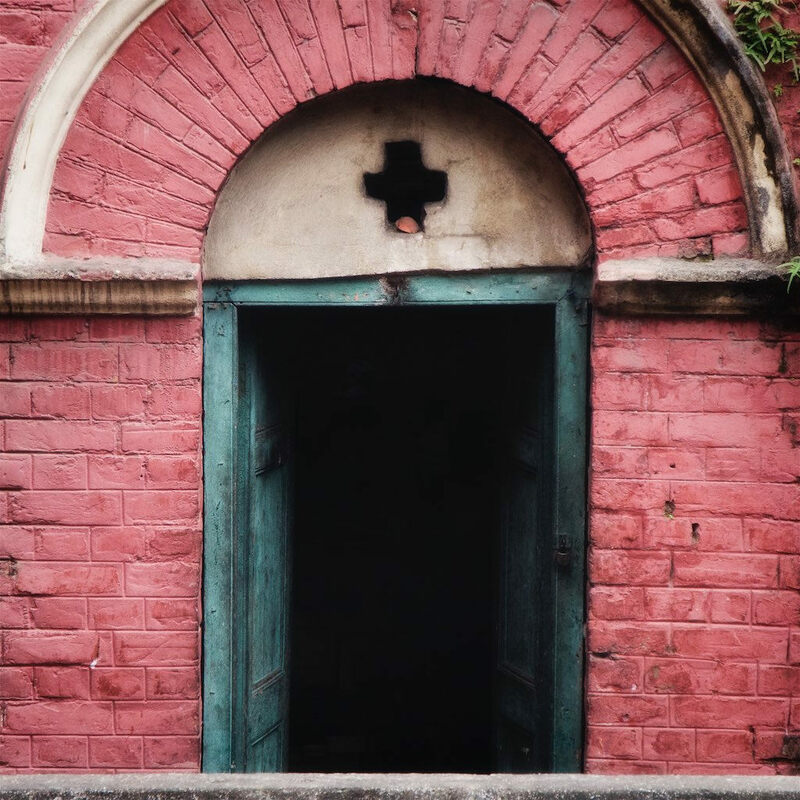 As I write this, I am looking forward to returning to India this coming February, this time for a full month, visiting Calcutta for a week, but expanding my journey to include Kochi, Mumbai, and wherever else time and circumstance affords. However, my failure to meet any of my, perhaps unrealistic writing ambitions during my stay in India turned out to be prophetic for the rest of 2018, especially with regard to my ability to make progress on the increasingly phantom memoirish project I keep fretting over. I’ve spent much of the year doubting the value of writing about the self at all, and then wondering what, if any, stories I have worth telling. So, apart from a few photo essays, a short poem and a handful of reviews, I’ve published no significant personal work at all. Instead, I channelled a fair amount of my writerly energy into editing for 3:AM Magazine. Admittedly there is an element of productive procrastination at play, but I truly find editing, especially for such a respected and unclassifiable journal, to be a highly rewarding activity. Over the year, I’ve had the honour of working on some really fascinating and original projects with a wide range of gifted writers. I also had the honour of being invited to San Francisco this past summer to host an event in honour of translator Isabel Fargo Cole and the release of The Tidings of the Trees by Wolfgang Hilbig. Meeting Isabel and having the opportunity to visit the offices of Two Lines Press and the Center for the Art of Translation was a thrill. The trip also afforded me a chance to catch up with my cousins whom I had not seen for close to forty years. Our mothers, now both gone, were sisters making this precious opportunity extra special. On a personal level, 2018 was another year of upheaval. I have lived without income for several years, a result of a series of unanticipated traumas and a reconsideration of what is really important at this point in my life, but well aware that this is unsustainable in the long run. So I decided to sell my house, move to a smaller, more manageable space, and invest the proceeds (just in time for markets to plummet, as would be my luck). The sale and purchase went well, but the move was devastating. My son and I made the time-honoured mistake of thinking that because we were moving less than a kilometer, we could handle most of it alone. Downsizing from a house I lived in for twenty-four years to a two-bed apartment condo was impossibly heartbreaking—especially for my son who was grieving the recent overdose death of his best friend, someone who had spent a lot of time at our home over the last dozen years—and the physical stress of trying to unload and move a quarter-century of life and living. As I settled into my new place, an older low-rise building above an embankment of Douglas fir trees, just steps away from one of my favourite natural areas in the city, I was hopeful that the change of environment would mark a new beginning. I hoped for a fresh surge of creative energy, a renewed focus, and an opportunity to move beyond the losses and loneliness of the past few years. But, of course, when you are facing challenges deeply rooted within, your problems simply move with you. Over the fall, as the days grew shorter, my world grew darker. I found myself feeling increasingly isolated socially and emotionally. When I did go out with others, I would come home and feel like gouging my heart out. Online I often pulled away so as not to post anything as dark as the thoughts I was harbouring. Cautiously, much of this was released in a post I published in late November, Who am I now? Slouching toward queerlessness. 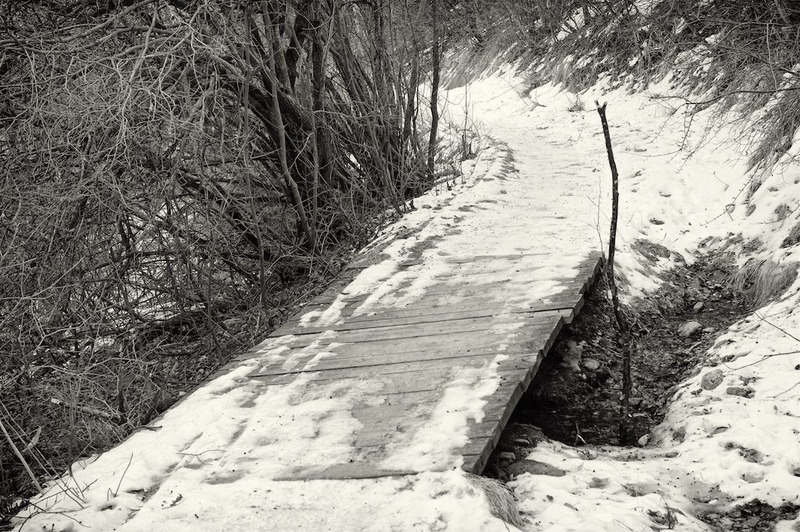 It stands as the most popular new post on my blog this year—misery loves company? I’m not sure. Ostensibly a brief essay about the difficulty of trying to address a truth of experience, however subjective, in a world—and for me that world is queer and differently gendered—that only values certain truths. The subject, hardly a new one on this blog, is still valid. But some friends heard the acute pain just beneath the surface and reached out. I’m happy to report that my psychiatrist heard that pain too and recognized it for more than my usual seasonal blues or the lingering effects of a bad cold. To be honest I was more concerned than I dared to admit. By early December I had become so weak that I was wondering if I’d even have the energy to manage my trip to India. Yet, I was reluctant to believe that a small increase in my psych meds would help. With my doctor’s encouragement I agreed to give it a try. Within days, the pain in my arms and shoulders lifted and the world looked brighter. I celebrated the renewed energy and focus. Depression is an insidious foe, fooling you into believing it’s all your own fault. I was diagnosed bipolar in my thirties, but until recently elevated moods were my demons; serious downswings are still a new territory. So, although the core concerns visited in my Who Am I? post still exist, the creative juices have started flowing again after almost two years in abeyance. I am reading and writing with purpose. With luck (knock on wood) it will continue for a while. 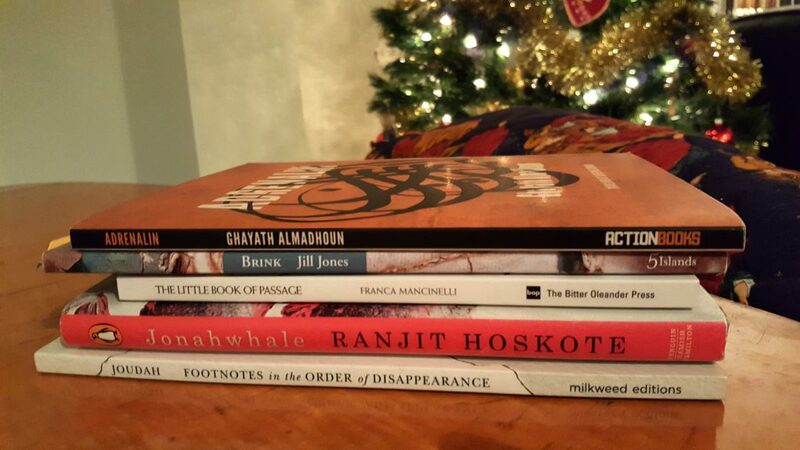 And so, at last, to my year in books. This year was a little different. I read a lot of strong books, including a fair number that I didn’t end up reviewing, most often simply due to lack of time. However, when it came to prose—fiction and nonfiction—there were fewer standouts, whereas with poetry, I had a hard time narrowing down my favourites. 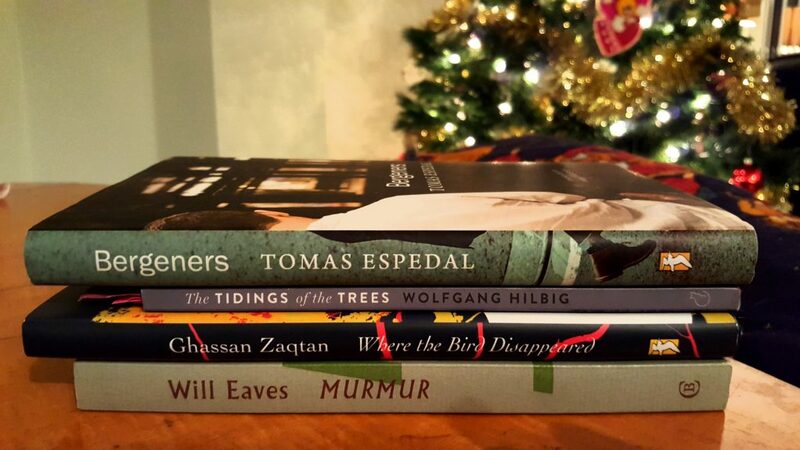 Poetry was a constant and essential companion this year. At times it was the only literature that could hold my attention. 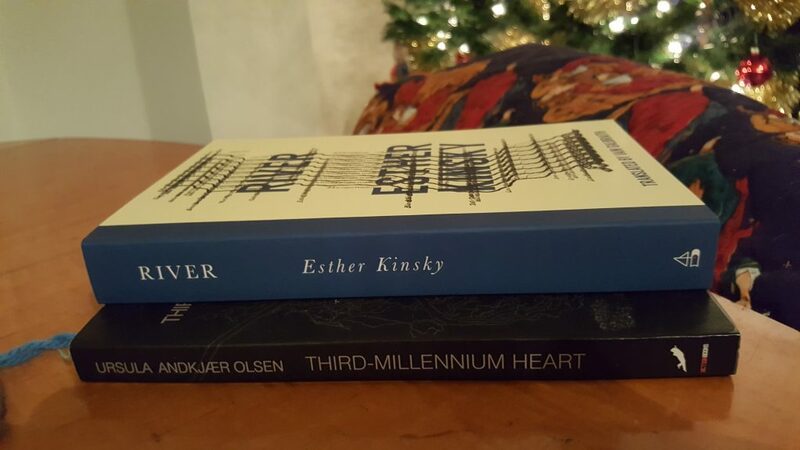 The best two books I read in 2018—and no matter what else might slip into the final days this will not change—are Esther Kinsky’s wonderfully evocative novel, River (tr. Iain Galbraith) which I reviewed for Music & Literature and Ursula Andkjær Olsen’s awesome collection of experimental poetry, Third-Millenium Heart (tr. Katrine Øgaard Jensen) which I responded to experimentally and poetically at Minor Literature[s]. In most parts of the planet, winter solstice is likely over, but where I am, this post makes it under the wire. Regardless, best of the season to all. As someone who has lived a landlocked existence with an endless sea of prairie grass stretching to the east and the high cresting waves of the Rocky Mountains rising to the west, oceans have long held an inexorable pull on my imagination. Every family holiday that brought me close to either the Atlantic or the Pacific was magic. When I was younger I was drawn to stormy seascapes, images of rugged wave-ravaged shorelines, and stories filled with high sea adventure and intrigue. Now it is something else, something quieter, more metaphysical, that possesses me. From the far shores of Vancouver Island to a lonely beach on the eastern coast of South Africa, I’ve welcomed, however briefly, the untethering afforded by the impossible emptiness expanding beyond me, and revived that longing that no river, lake or landbound body of water has ever been able to fully resolve. 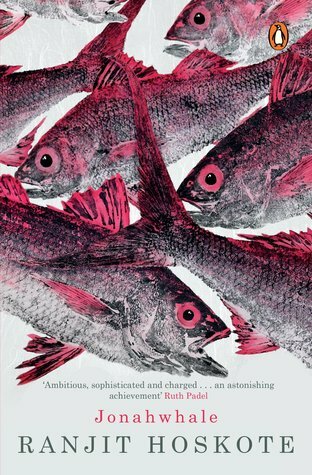 And so, I come to Indian poet Ranjit Hoskote’s astonishingly rich, endlessly engaging Jonahwhale, a collection of poetry that returns, again and again, to gather inspiration, stories and imagery from the watery depths. For Hoskote, who grew up in Goa and Bombay, proximity to the sea has been a constant, one which he admits informs his life, his awareness and his writing. But as an accomplished translator and cultural curator with a seemingly inexhaustible curiosity that extends beyond boundaries, disciplines and art forms, his work cannot be confined to any specific thematic template. His poetry welcomes a wide array of influences, follows maps and legends that navigate an extensive territory, and resounds with an eclectic musicality. 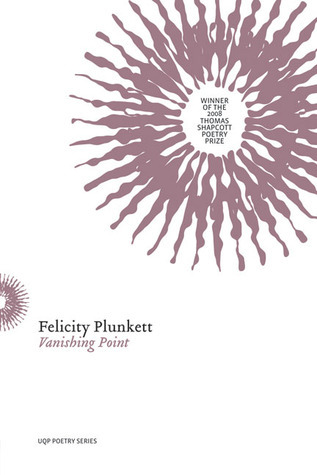 The poems in this collection run from multi-voiced epics taking their cues from historical, literary, or artistic starting points, to one line aphoristic pieces and everything in between. This book has accompanied me these past six months, and yet every time I open it I discover a line, a passage, or a verse that pulls me in anew, to reread, refresh, and reconsider. I cannot assess or review such an impressive collection, I can only respond, which is perhaps the best I can manage with any of the poetry I have read this year. Divided into three parts, or movements, the first section, “Memoirs of the Jonahwhale” summons voices from a wealth of historical, literary, and linguistic resources, some self-evident, others detailed in the poet’s endnotes, which, I understand, reflect Hoskote’s desire to honour his scholarly self rather than an obligation to explain his allusions. Some of these notes, crafted with a curator’s attention to detail, are fascinating in themselves and may well inspire a reader’s further exploration, but, as one would hope, context, background, and intertextual sources simply enrich the reading experience. They are not essential to the appreciation of the rhythms, images and intensity of his poetry. The kick-starter has whooping cough, won’t purr.
. from the coast’s offered skin. Moving into the final section, “Archipelago”, the tone turns more intimate, not personal as these are not explicitly autobiographical or confessional poems, but smaller, sometimes quieter more focused, often inspired by art or classical themes. Like finely imagined poetic miniatures echoing history, the unforgiving beauty of nature and, as ever, rarely far from the water. If literature can evoke a sensation so undefinable and expansive as that which I feel at the ocean’s edge, this wise and elegant collection comes close. Jonahwhale by Ranjit Hoskote is published by Penguin India. Here’s the river which widens my gaze, which flows through my forehead. Each time I await it. I know when it’s coming because the rails make a different noise on the bridge. Next to my seat is a small suitcase. I packed it, knowing I was leaving. The flow of time, seasons, energy. Movement through space, life and form. 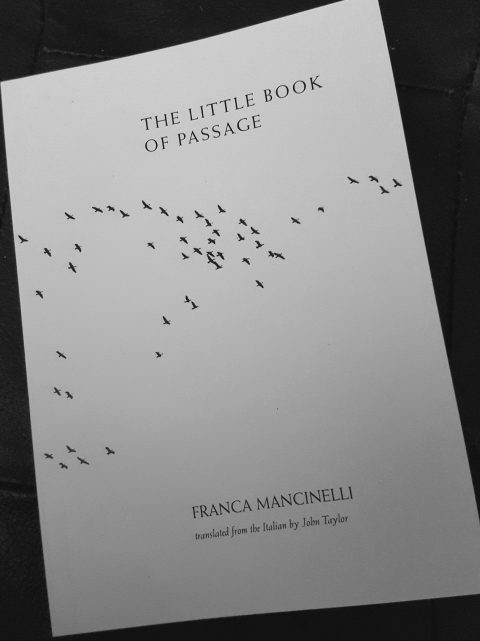 Franca Mancinelli’s The Little Book of Passage—Libretto di transito—begins with what appears to be an evocation of the minute rituals of travel: the suitcase packing, the waiting , riding a train, walking along a river. But the journey soon becomes one that spirals through intimate encounters with the domestic and the natural, reaching toward an internal, essential experienced reality. This small, dual language Italian/English collection of brief, fragmentary prose poems contains, within thirty-three brief one or two paragraph pieces, subtly toned, ever shifting passages that extend beyond the horizon of the printed page. As in her verse poetry, which similarly points to silence as it sketches moods, daydreams, and fantasies set amid carefully observed daily scenes, Mancinelli’s short prose revolves around unvoiced centers and disturbing causes which cannot be wholly defined yet which have come to the surface, as it were. As the reader meditates on them, they reveal their intricacy and mystery. That is, wordless centers full of emotions, thoughts, perceptions, and even unimaginable acts—those pertaining, for instance, to the loss or lack of something or someone essential. This is easy to acknowledge a priori; in the reading, rereading, and returning once again we are increasingly aware of the unsettling and exhilarating otherness at the heart of all that we know or think we know in the act of being and engaging with the world. Mancinelli’s language is characterized by an exactness, pointing to the simplest of acts and the most fundamental relationships, and yet the angle of perspective shifts. The poetic voice slides from “I” to “you”, sometimes reaching toward another, sometimes reflecting back to the speaker. Other pieces take the first person plural, the speaker and another perhaps, lover or child, or a more open and general “we”? Both or neither? No matter, the effect is one of blurring distinctions and encompassing the reader in the flow of images. I force myself to put on clothes, shoes. I still grow in the darkness, like a plant drinking from dark soil. Getting dressed demands losing the branches extending into sleep, their most tender leaves open. 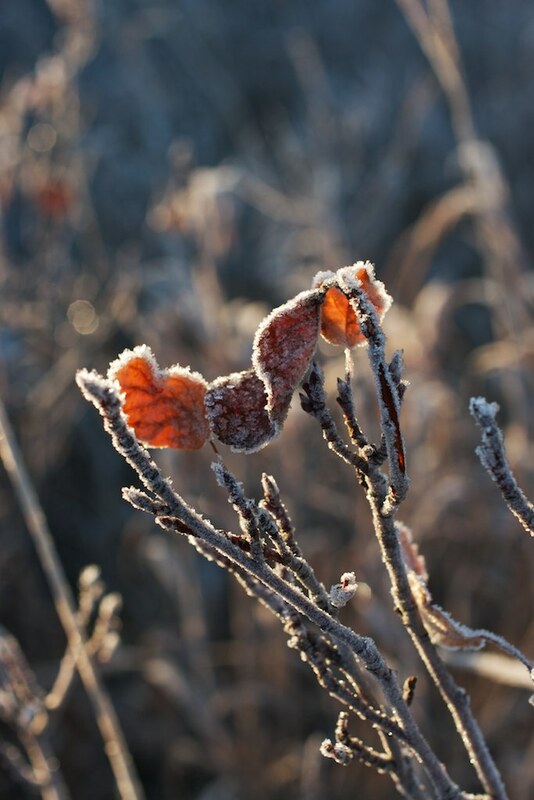 You can suddenly feel them falling like an unexpected winter. At the same time you also lose the tail and the wings you had. You feel it happening somewhere in your body. Life is a series of passages. Arrivals, leavings and transitions. We often make allusions to one kind, even a profound passage like birth or death, to speak to another. This series of delicate poetic prose pieces invites you hold each one, like a shard of glass, and allow it to refract and distort reflected light and meaning. Italian poet Franca Mancinelli is the author of two previous collections of verse poetry. The Little Book of Passages, translated by John Taylor and published by The Bitter Oleander Press, represents the first appearance of her work in English.